Hanover, January 2014. Since January 1, 2014, the previous head of the bicycle and motorcycle tires business, Constantin Batsch, has been dealing with considerably wider tires. After learning the ropes, the 42-year-old takes over, as of February, at the head of the EMEA Commercial Vehicle Tires Replacement business unit in Hanover. Previous to that he was head of Continental's Two-Wheel business unit for four years. in which capacity he was responsible for somewhat narrower tires. Prior to that, he worked in European Key Account Management for passenger car tires and as an assistant to the Executive Board. He has a total of over ten years' service at Continental. "Working in the Commercial Vehicle Tires Replacement business is an extremely appealing role. I will be able to rely on an international team that has a strong customer focus and supplies our customers with leading premium products and services: These help to improve cost efficiency in the transport of people and goods as well as on construction vehicles," explains Batsch. In his new role, he will report to Dr. Andreas Esser, head of the Commercial Vehicle Tires business unit. Effective February 1, 2014, Thomas Falke (40) will take over the reins of the Two-Wheel Tires business unit in Korbach, Hesse, Germany. He previously headed Continental Tires Holding Singapore. Over the past 14 years, Falke has held various positions in the Continental Corporation. "The Two-Wheel business, with its highly diverse product range covering virtually all bicycle and motorcycle applications, is an exceptionally dynamic area. With the help of my highly motivated team, I shall be able to drive it forward on an international level," stresses Falke. 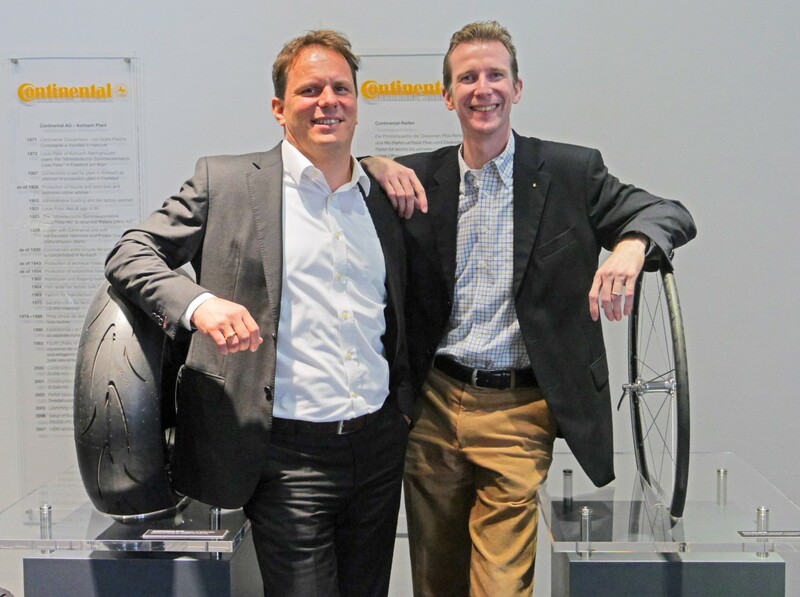 Continental's Two-Wheel business unit develops and manufactures a wide array of tire models for motorcycles, scooters, and bicycles. The tires are manufactured in Korbach in the Hesse region of Germany and elsewhere. In his new role, Falke will report directly to Nikolai Setzer, member of the Executive Board of Continental AG and head of the Tire division.